This story comes from a friend of mine who wishes to remain anonymous. All the same, it shows how even in the craziest of circumstances, you can still triumph. When we got married he was the most amazing person ever. He was my best friend whom I shared a bond with. He then deployed for the first time. It was also at the beginning of the war. They were the first out there. When he came home it was like he was in a daze. Withdrawn, looking into space, and jumping in his sleep. I thought maybe it was just him needing to decompress or maybe there were certain things they can’t talk about. Respecting that oath is understandable to me and giving him the space he deserved was what I thought he needed. I came home from work one day and he was sitting on the bed, just staring into space as usual. I’d finally had enough. Standing in front of him I told him everything. After pouring my heart out to him, he started to cry and apologized for not being there fully. Hearing some of the war stories he then told me was definitely scary. We made up and moved on, thinking things would get better. Let’s fast forward to a couple of years now under our belts. Add in a couple of more military tours as well. We had kids now. From the outside looking in, we were the perfect family. But digging deep enough you could see the cracks, the split hair temper, the screaming, and the anger happening almost all the time. At night it had gotten worse. Running in his sleep, jumping, and choking, even to the point it sounded like he could not breathe. Then, one night he started patrolling the house. The kids were all asleep but what could I do? Many nights after this he would patrol the house as if he was stuck in some war movie as I watched. Being up with him through the night and taking care of the kids during the day, I started to feel like I had failed him and my family. Somehow it was like he could not turn it off. He was up before the alarm clock would ring. Even on vacation it would go great until a day before he had to sign in for duty. He would toss and turn all night, not able to sleep. It felt like I was stuck in some nightmare that I could not wake up from. Feeling like a failure, angry, and depressed all the time, I felt like I was drowning slowly and did not know how to make it stop. I started getting out of the house more. No kids, just me. 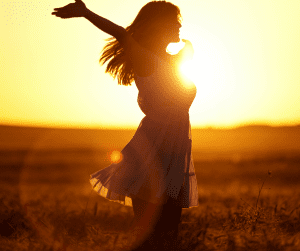 I loved those times where I just felt free from it all and not worrying about anyone – I was being selfish for once. That’s when I knew I had lost the connection to myself. This submissive type was not me at all. What was I showing our kids? More importantly, why was I allowing it? While waiting for the kids to go to bed one night, I took the first step to stop allowing all of this to continue. Feeling like I was the only one in this marriage, holding it together by myself, I told him how I felt. We agreed he would get some help. Okay, let’s be honest here, there was me looking into all the proper channels to find him help, that helped to make this happen. Our chaplin became my best friend. I found talking was easy and help was there. After sleep study, marriage counseling, personal therapy and PTSD counseling, we are at a much better place. I wanted to share this story because my family is now starting to come first instead of work. Heck, I even went to therapy myself and I found out I needed some self-work, too. There is no place in a marriage for egoes. We started doing the work together and making time for ourselves. Why Tell Your Story ? There are so many people out there, staying silent, dealing with it alone as if it’s weak for speaking up. You’re not weak! You are stronger than you give yourself credit! If our story can help another couple going through it, then that’s a win. I hear so many stories about couples that don’t make it through this, but there’s just as many that do. When you hit rock bottom it’s hard to stand back up. Being stuck in your head all the time is the worst thing, being mentally beat down and fragile. But somehow, even in those dark moments, some light manages to break through. Self-love starts to take root. Just like a flower that you want to grow, we need the right balance of water and sunlight to do it. Always remember there is no other person like you in this world. Don’t fall in love with a flower then try to change it’s scent. Enjoy living life in the moment, the way it was always meant. For every error we ever made was a lesson learned. Let’s be real about it, you always knew. Always believe in yourself because you are the greatest gift. Read this and more at www.stephanie380.com . 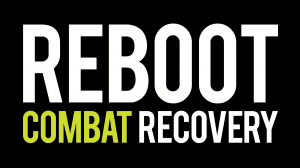 If you or someone you know is looking for help with PTSD, please reach out to the amazing people at Reboot Combat Recovery.